The harrowing tale of loot box legality never seems to end. Last month, the Belgian Gaming Commission (BGC) found that Overwatch, FIFA 18, and Counter Strike: Global Offensive were in violation of gambling laws. Technically they left Star Wars Battlefront II off of that list, but the investigation was done prior to EA adding loot boxes back into the game. Now the commission is recommending criminal prosecution against Activision Blizzard, EA, and Valve over their illegal loot boxes. Though criminal prosecution against the investigated publishers is their primary recommendation, the BGC has set forth additional recommendations for how to deal with loot boxes more broadly. On the regualtion side, they want to develop permits and better information for the consumer, as well as instituting bans on purchasing or making purchases in any games that have loot boxes. They also want to hold license holders accountable, such as Disney and FIFA, for mechanics and practices that are employed by studios using their licenses. Not wanting to leave anyone out, they also recommend that platform holders like Sony and Microsoft restrict their systems so that those underage cannot make any payments into a game that has loot box mechanics. They want developers to but a financial ceiling into loot boxes so that players cap out on how much they can spend, and they want them to “permit complete control of the random number generators used for the loot boxes by the Gaming Commission’s Technical Assessments team.” Yup, the BGC wants developers to let a third party government agency have complete and total control of their loot box odds. One of the biggest aspects of the BGC report that will widely affect all video games is the fact that they included any attributed emotional and perceived value in addition to actual monetary trade value of items earned in loot boxes. While Activision Blizzard may argue that digital items cannot be resold and have no individual values outside of the game, the BGC still finds that Overwatch’s loot boxes meet the criteria of having some kind of attributed emotional value through player desire for the items and artificial rarities. If you want to draw comparisons to collectible card games or blind boxes, the BGC covered that avenue as well. Speaking to GamesIndustry.biz Naessens said “It might be considered as gambling, but in our legislation there is an exception for it. So Pokémon cards, if they are going to introduce a wheel of fortune, roulette, or a blackjack game in order to determine the contents, it will also be problematic and we will examine it as well.” He’s referring to the fact that there is no gamification to opening the card packs. “But in our legislation, card or party games are exempt from gambling [legislation]. If Pokémon cards were to introduce the gambling element to their game, it would be very problematic as well.” Personally I fail to understand this reasoning, as randomized items with actual physical value seem to fall more under gambling than digital loot boxes do. Their argument is that loot boxes lure players into purchasing them with flashy lights and animations, where card packs are relatively static products. 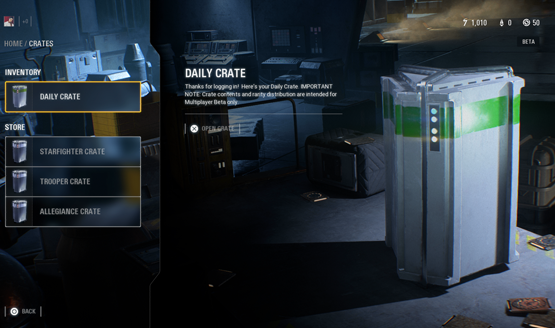 Criminal prosecution is just the next step in a worldwide battle about loot boxes. There is no clear consensus among government regulators, publishers, and players for the best way to handle these. We’ve stepped into a very messy place as governments begin to intensify their involvement in games, and publishers will be forced to take action soon. What that action ends up being remains to be seen.